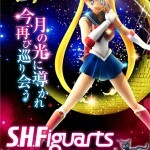 Bandai’s Sailor Venus S. H. Figuarts figure has finally been revealed. 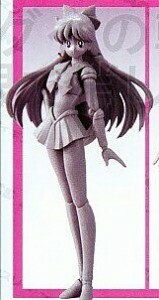 She joins Sailor Moon, Mercury, Mars and Jupiter to complete the main group of five girls. It was only a matter of time before Venus would be revealed. Now it’s anyone’s guess as to who might be next. Sailor Chibi Moon? Sailor Pluto followed by Uranus and Neptune? 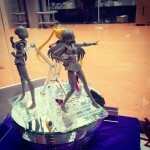 Maybe we’ll see a Tuxedo Mask figure! 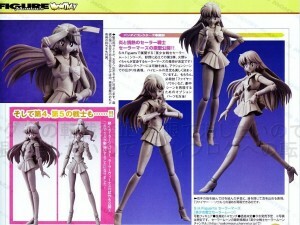 In this image brought to us by the Cybergundam Blog we also get a better look at Sailor Mars’s prototype figure. 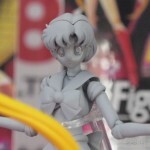 Currently we’ve only seen colour versions of the Sailor Moon and Mercury figures but colour versions of Sailor Mars, Jupiter and Venus will be along in time. Bandai’s S. H. Figuarts figures are very detailed with many swappable parts. 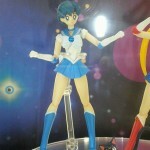 You can pre-order Sailor Moon and Sailor Mercury from the links at the bottom of this post. We’ll update the site with more links as they become available. 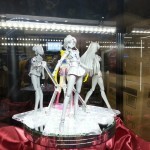 This entry was posted in Merchandise, Toys and tagged Bandai, S.H. Figuarts, Sailor Venus by Adam. Bookmark the permalink. 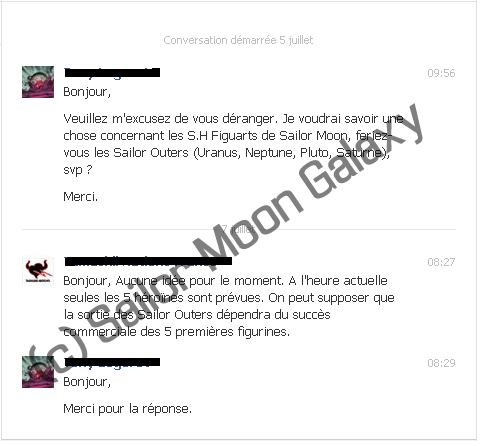 I contacted Tamashii France on Sailor Outers, it is not currently scheduled. They say it would depend on the success of Sailor Inners. Great. Here’s hoping good sales means they all get made.